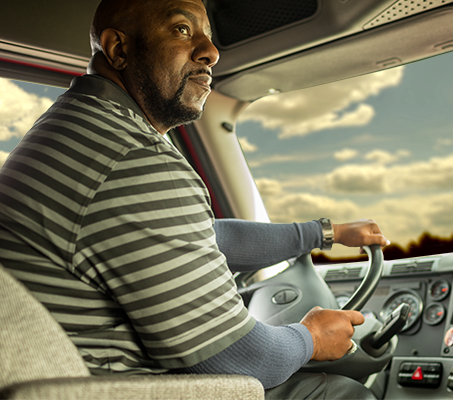 We believe skilled drivers like you are the most important part of our company and we’re eager to do all we can to make you feel like you’re part of the family—starting with orientation. Orientation gives us an opportunity to welcome you to a better trucking life at U.S. Xpress. But, it’s about much more than that. Orientation is also about keeping you safe, along with everyone around you. That’s why we take a few days to ensure you’re confident and comfortable in the driver’s seat. And, we’re happy to pay you for your time! We hold orientation sessions twice a week in multiple locations across the country. The process consists of a road-driving test, DOT physical, physical standards test and a drug screen. You will also become familiar with our safety protocol and operation procedures, and complete on-boarding paperwork. Orientation lasts three full days, and upon hire, company drivers will be paid between $58 and $66 a day depending on your location with $50 automatically advanced on your fuel card. We’ll provide lodging and transportation to the orientation site. Please let us know if you need help getting to class. We’ll see you soon! Your name on your social security card must read the same as your driver’s license. No metal cards or copies of your social security card. If your SS card is laminated, you have to have a letter from the social security office showing you have a new card on order plus a certified copy of your birth certificate and/or passport. If you need glasses to drive, please make sure restrictions are specified on your license and please bring your corrective eye-wear. You are only allowed to have 1 valid license. All other license must be surrendered before you come to orientation, and cannot be suspended. If you have any type of self-employment, military experience, or jobs that are out of business, you need to fax documents for those time frames to your recruiter before orientation. Bring the originals to orientation. We have to verify every job you have held for the last 3 years.Please be sure your recruiter has a working number to all of your jobs in the last 3 years. Please bring truck driving school transcripts and a certificate if you are a student driver. 1-2 weeks of clothing, bedding, personal hygiene items, bath towels, and alarm clock. Greyhound allows 1 carry-on (25 lbs. or less) and 1 checked bag (50 lbs. or less) free of charge. All other bags are at your expense. The company provides a Greyhound bus ticket to orientation. If you elect to drive, US Xpress will reimburse fuel expense up to the price of the Greyhound bus ticket. Keep fuel receipts and turn them in at orientation. Money for breakfast and dinner for the 3 days of orientation and emergencies. Void check needed for direct deposit. More than 25 mg intake of caffeine may elevate both your heart rate and blood pressure which will have detrimental effects on your testing results. Balance on one leg (both legs tested). Average of 15 seconds over three, 30 second trials is required to pass. Climb onto platform into high kneel. Simulates getting in and out of trailer. Squat/Crawl under platform. Simulates maneuvering under a trailer for inspection/repair. Lift of 50 lbs. – Floor to 35” high shelf to 55” high shelf and back to floor. Simulates lifting merchandise in and out of storage/transportation carts (aka “roll-tainers”), and personal gear in and out of truck. Repetitive Squat while lifting 20 lb. box from floor to waist high shelf. Simulates lifting of merchandise required for unloading trailer. Push and Pull of 120 lbs. of force for 25’ and over threshold. Simulates push and pull of a loaded cart/roll-tainer from a trailer to the store and back. Must pass a pre-employment drug screening and road test. U.S. Xpress’ key policies and procedures will be covered during orientation.